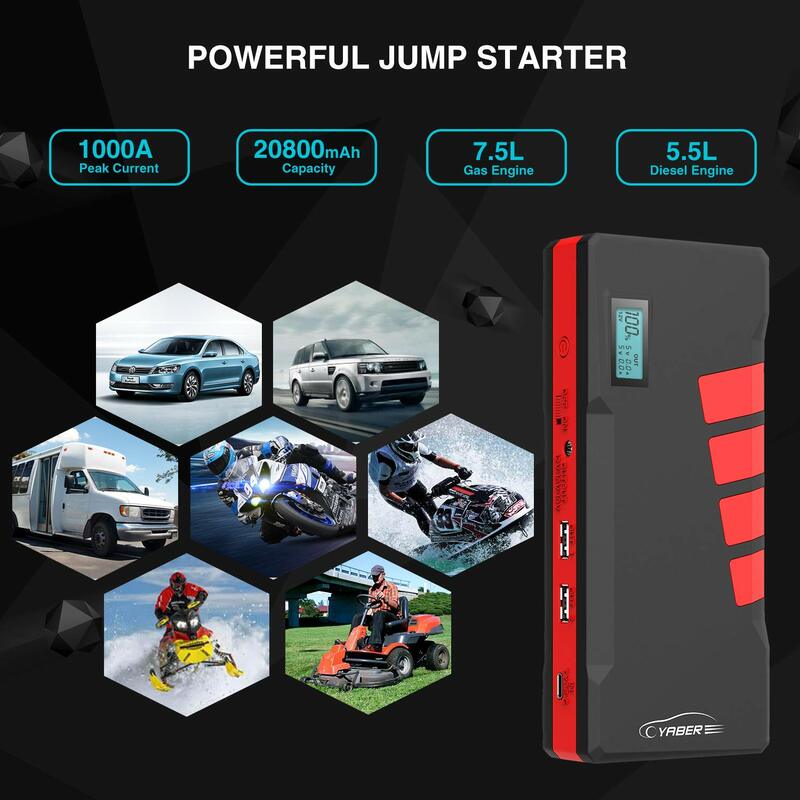 POWERFUL AND LARGE CAPACITY: With 1000A peak current and 20800mAh capacity, this portable jump starter can start 12V vehicles (up to 7.5L petrol or 5.5L diesel engine) in seconds up to 30 times. 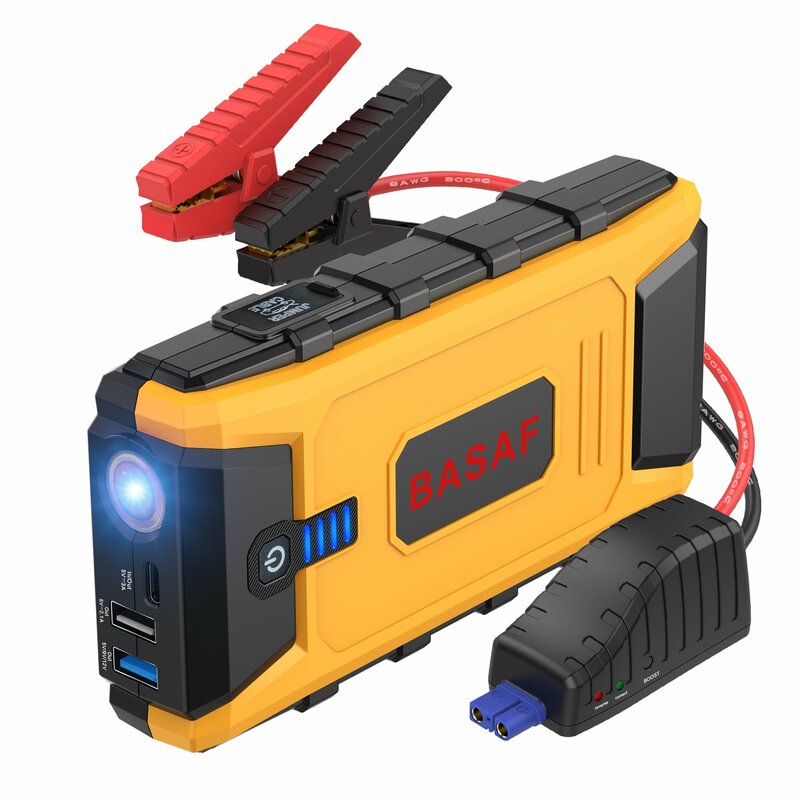 Suitable for car, truck, motorcycle, boat, RV or tractor and so on. 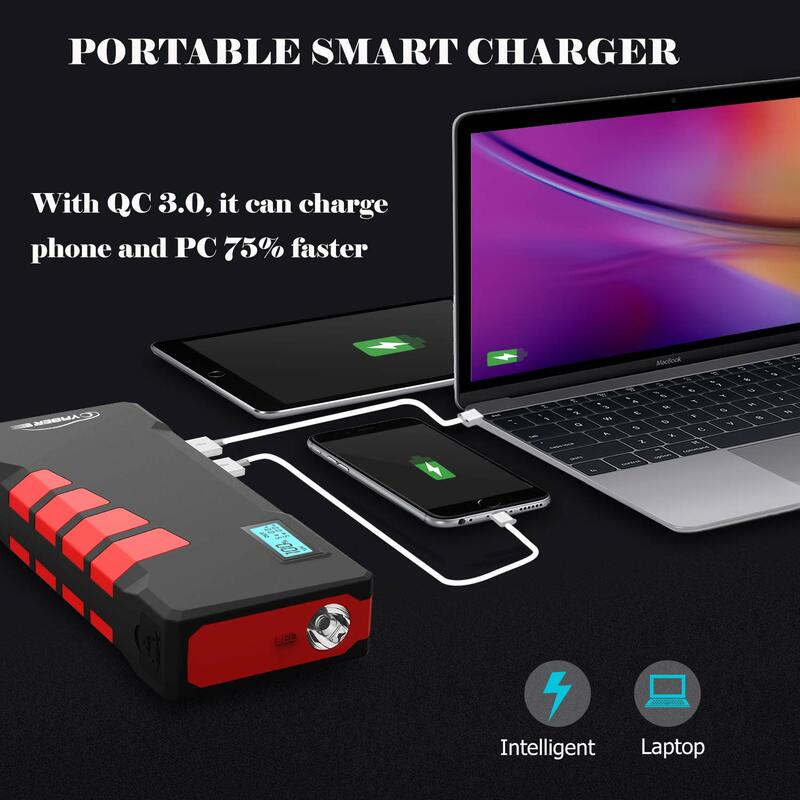 QC 3.0 AND TYPE C BATTERY CHARGER: With newest Quick Charge 3.0 technology, this battery jump starter can charge your laptops, smartphones, tablets and other devices 75% faster than conventional chargers. 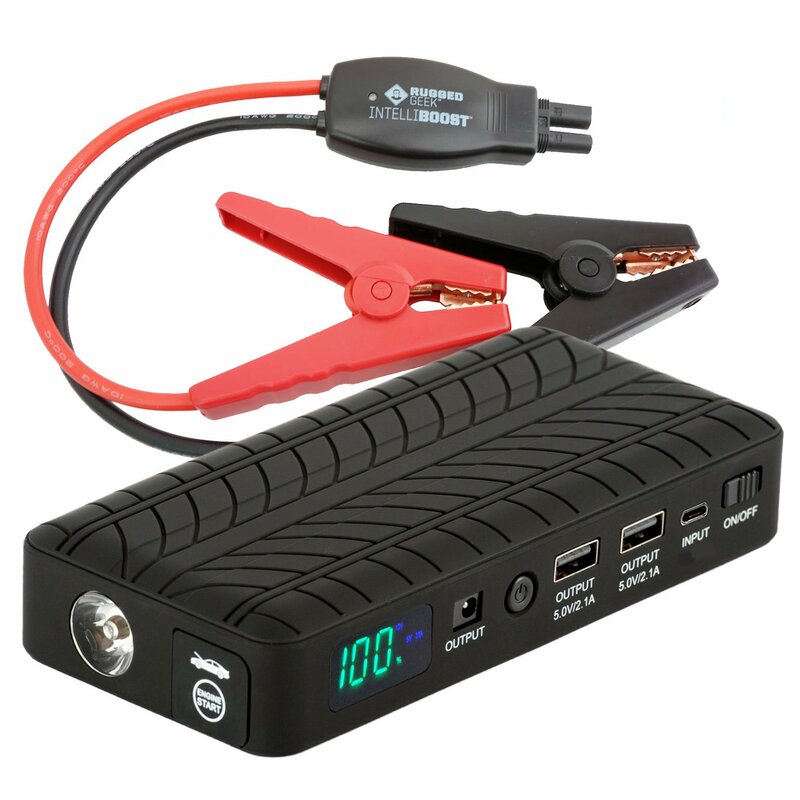 Besides, the 12V / 16V / 19V interface can also charge your laptop. LCD SCREEN DISPLAY AND LED LIGHT FUNCTION: Output power and remaining battery power are clearly visible on the LCD screen. 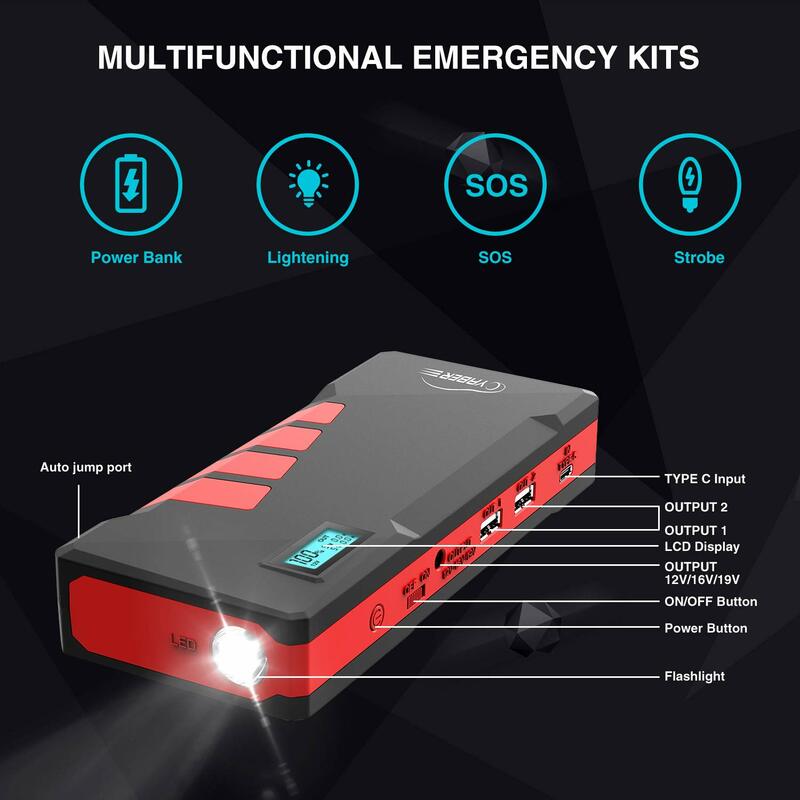 It’s also built-in flashlight that comes with four lighting modes (“Permanent”, “SOS”, “Strobe”, “Off”). In an emergency, it is a lifesaver at camping, picnic and adventure or breakdown. 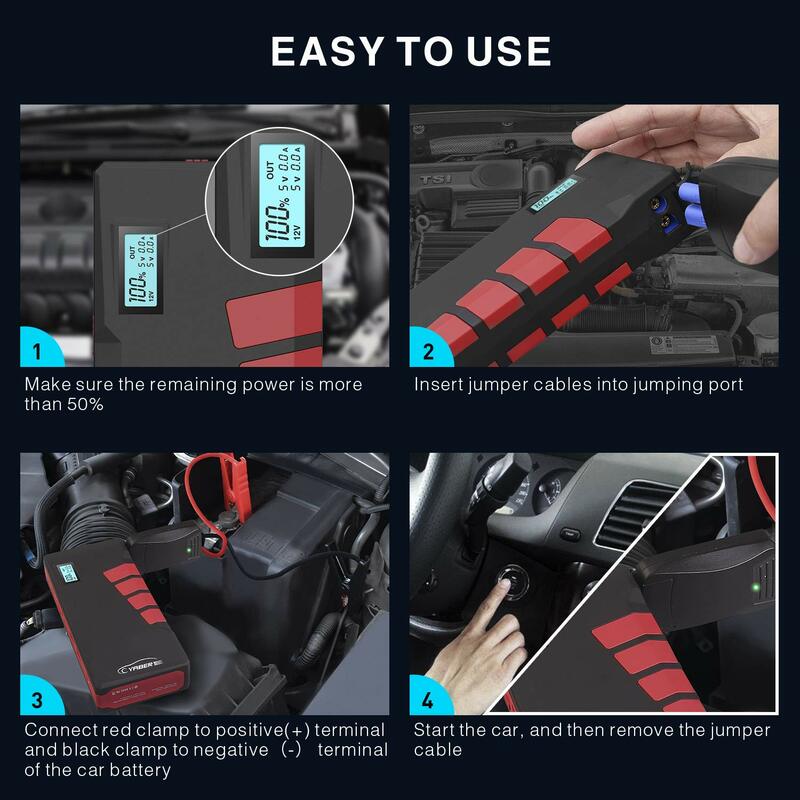 Why does each driver need a jump start power bank? ➢ In cold weather, the car can not be started? ➢ Did you have to wait for hours for a towing? ➢ Are the batteries of your smartphones, tablets, or laptops empty while traveling? 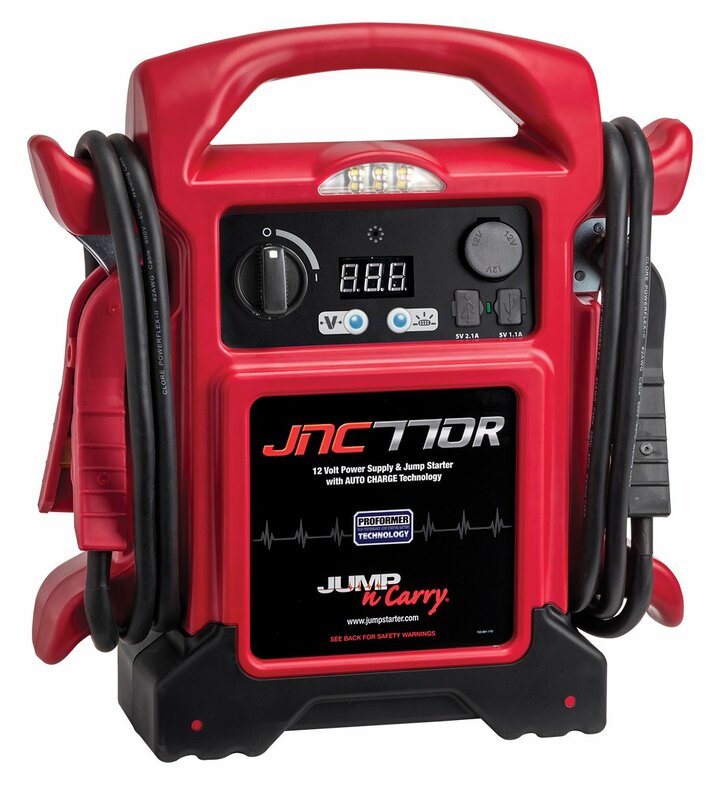 Why Choose YABER YR300 Jump Starter? and the QDSP technology make it 75% faster than other chargers. 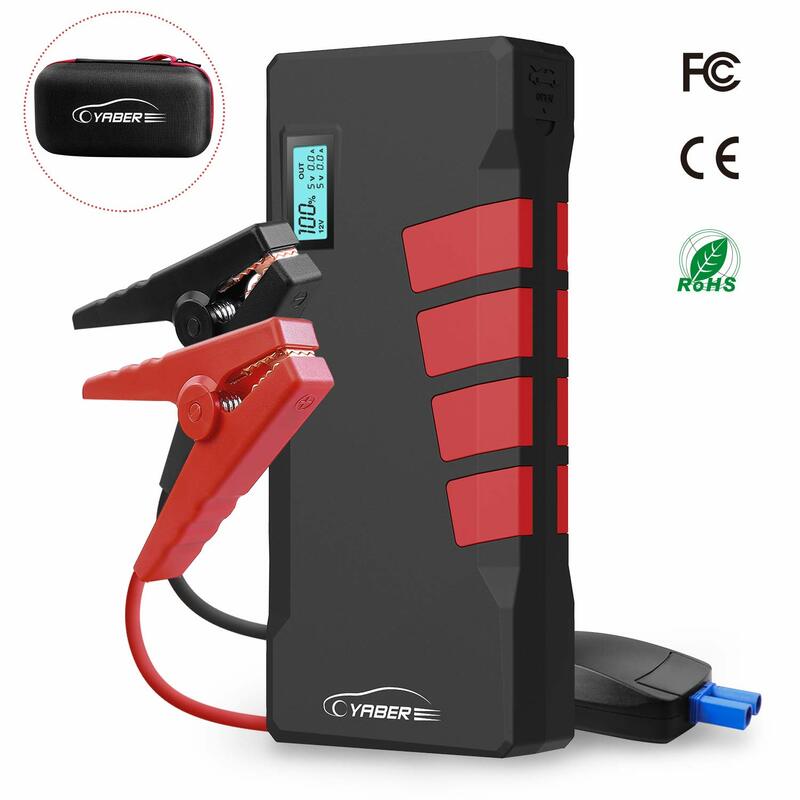 It also has a 12V / 16V / 19V port to charge your laptop. It’s able to start petrol engines up to 7.5L and diesel engines up to 5.5L about 30 times with a full recharge. Do not be afraid to set the terminals wrong or get a blow! The supplied intelligent cable protects you from all cases, such as short circuit and so on. The LED screen shows the exact electricity of the battery booster. And the bright LED lamp has flashlight, emergency Strobe, SOS modes. With this high quality booster, you could use it all seasons of one year. No need to be afraid in snowy day or hot day. 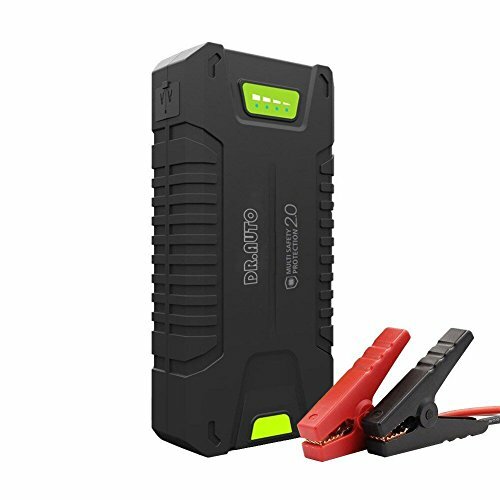 DOUBLE PROTECTION AND COMPACT: The jump starter adopts smart chip. 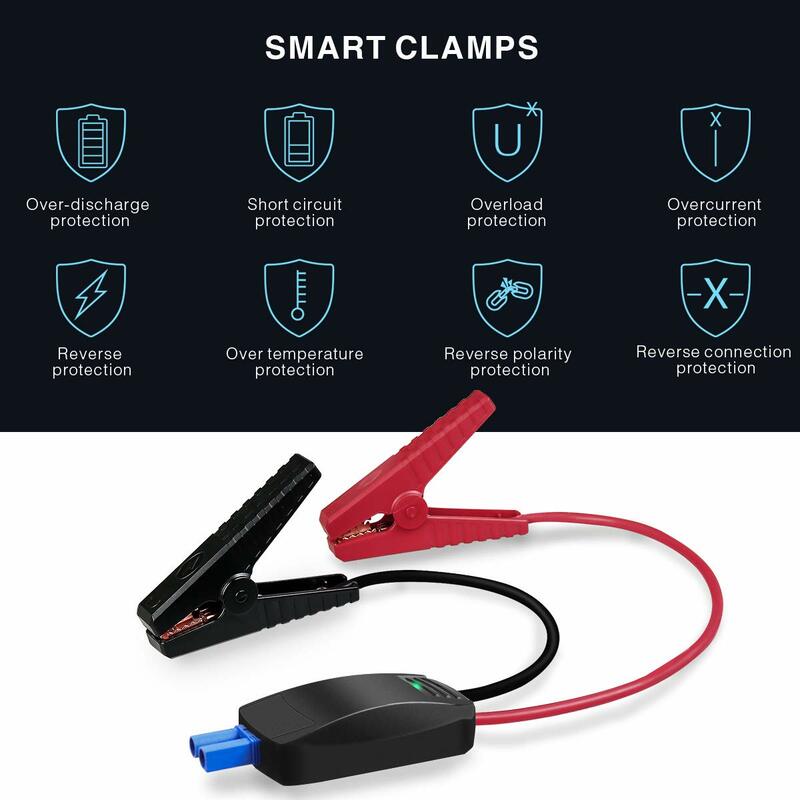 The booster clamps features short protection, reverse connection protection, low voltage protection, high voltage protection, reverses current protection etc. Even beginners can use it with confidence. The portable size 7.4*3*1.1 inches makes it easy to take it anywhere. 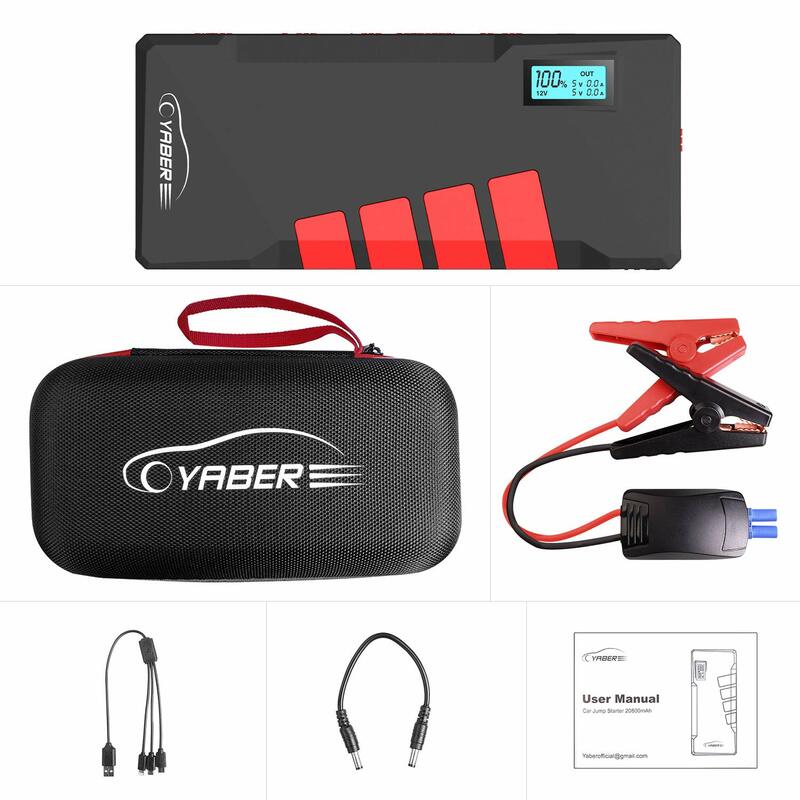 WHAT YOU GET: YABER 20800mAh jump starter, high-quality storage case, 12V Intelligent Battery Clamps, USB tpye c micro in one cable, DC cable and user Manual. Be confident of our quality, we provide 2 years money back warranty. 2 years warranty. First year for money back under any reason.